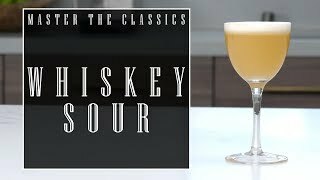 The classic Whiskey Sour. 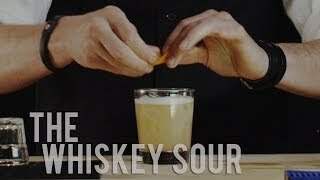 Makers Mark Bourbon is recommended, but any good quality bourbon will do, each giving their own qualities to the finished drink. Pour all ingredients into a shaker with ice. Shake well then strain into chilled old fashioned glass.